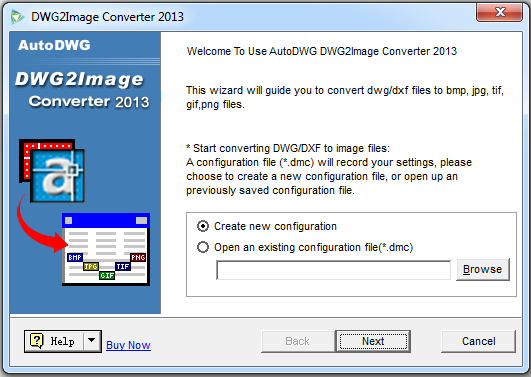 AutoDWG DWG to Image Converter, Faster than ever! 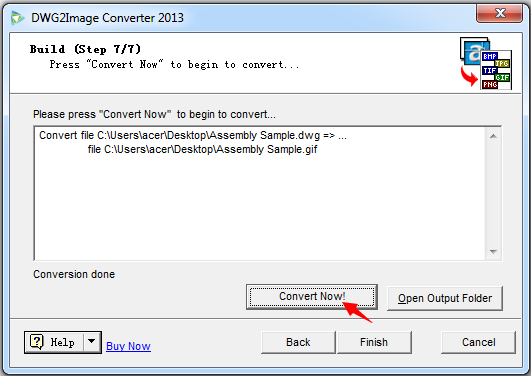 AutoDWG DWG to Image Converter batch converts DWG, DXF and DWF to JPG (JPEG), TIFF (TIF), GIF, PNG, BMP, WMF and EMF without AutoCAD. The version of AutoCAD 2019~R14 is supported. Adjustable image resolution and paper size. Line weight and output color (256 color, gray, black and white) supported. 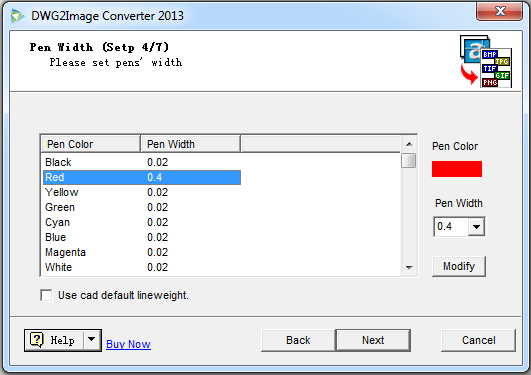 DWG to SVG Converter is available for convert to vector images. What does generating image for? 1. Protection of original drawings. 2. Storing and managing your drawings in portable storage. 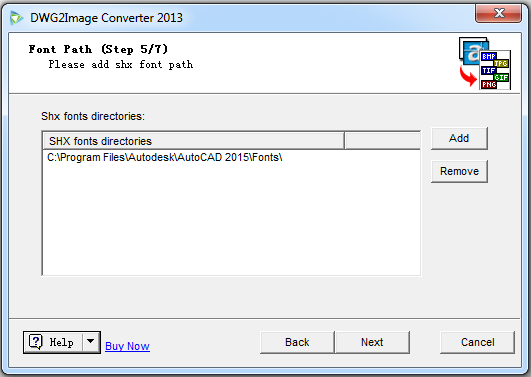 DWG to Image converter makes it simple to convert DWG/DXF/DWF to Image file (JPG, TIF, GIF, PNG, BMP, WMF and EMF), and it is a stand-alone software, not requiring AutoCAD. 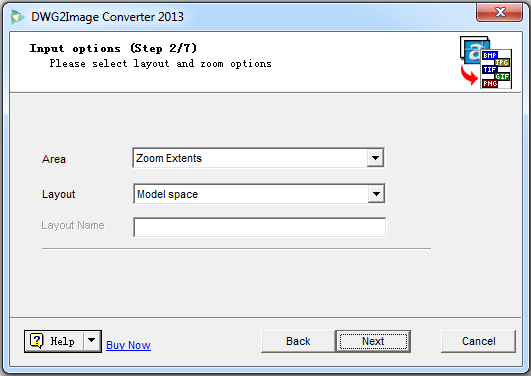 You are able to set layout and area of the converter. Choose from the drop down menu for what you want. DPI is simply the “Dots Per Inch” in your image. That simply means it’s the number of individual dots that can be placed in a line within the span of 1 inch (2.54 cm). The density of these dots is called the "resolution". Higher DPI brings better image quality (higher output resolution). 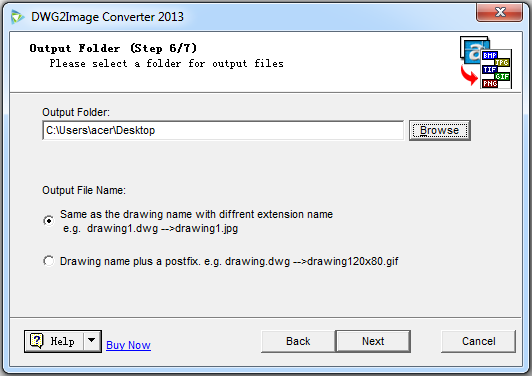 The latest version of this DWG to Image Converter 2019 has been released recently. 1. What is a configuration file? The configuration file (*.dmc) is created by AutoDWG DWG to Image Converter, user settings of the converter is stored in this file for further use. Step 2: Select layout and area, and click "Next"
Step 3: Select output file format, and set resolution for area or click "output with pixel"
Step 4: Customize the pen width or use default settings. 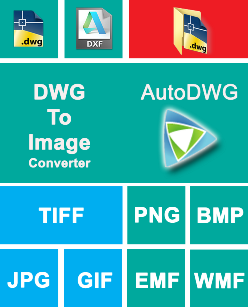 AutoDWG DWG to Image Converter batch converts DWG, DXF and DWF to JPG (JPEG), TIFF (TIF), GIF, PNG, BMP, WMF and EMF without AutoCAD. To begin with, choose a configuration file to open or use default settings, then click Next. The configuration file (*.dmc) is to save user settings for the AutoDWG converter. How does it save the configuration file? Please notice the pop-up window when exiting the converter after conversion, click “Yes” and choose the location to save the configuration file. Batch mode is default, tip “include subdirectory” if you also need to convert files in subdirectory. Click “I only want to convert a single file” when you want a single file converted. 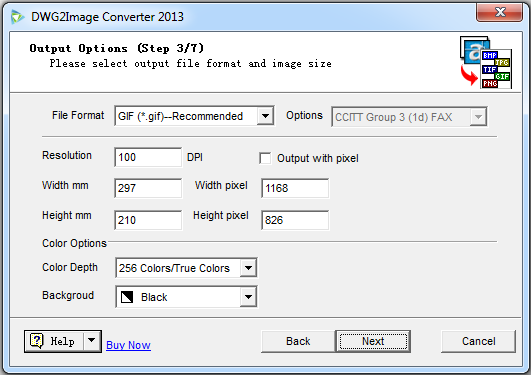 Step 3 Select output file format, and set resolution for area or click "output with pixel"
Step 4 Customize the pen width or use default settings. Step 5 Set up SHX as you wish. Step 6 Browse and select out put file folder. Step 7 Click the button "Convert Now", to finish the conversion.